The Open Access Movement dates back more than thirty years. We have put together an overview of its history in this document, highlighting the most relevant events¹. Get to know the History of Open Access. 4th July, 1971: Project Gutenberg launched by Michael Hart. 1989: Launch of the free online journal Psycoloquy by Stevan Harnad. This became a peer-reviewed journal in January 1990. August 1989: Launch of the free online journal The Public-Access Computer Systems Review by Charles W. Bailey Jr. ,which became a peer-reviewed journal in April 1992. October 1990 : Tim Berners-Lee writes his initial proposal for a web server ( it was launched in March 1991). On 12th November 1991, he publishes “World Wide Web : Proposal for a Hypertext Project”, and on 13th November of the same year, he composes his first web page. 1991: Emergence of ArXiv, launched by Paul Ginsparg. April 1991: EJournal is launched by Edward M. Jennings. September 1990: The free online free peer-reviewed journal Electronic Journal of Communication is launched. September 1990: Launch of the free online peer-reviewed journal Postmodern Culture by Eyal Amiran, Greg Dawes, Elaine Orr and John Unsworth. 1991: Launch of the free online journal “Surfaces” by Jean-Claude Guédon. 17th May 1991: Release of the standards for the World Wide Web by CERN and Tim Berners-Lee. April 1993: Project MUSE is launched by the Milton S. Eisenhower Library in partnership with Johns Hopkins University Press, based in the USA. Project Muse is not free access, but was a pioneer in online distribution. It allows full text to be searched at no cost and the publisher, Johns Hopkins University Press, permits authors to retain their copyright. 1994: The National Science Foundation and the U.S. Federal Agencies launch the Digital Libraries Initiative. 27th June 1994: Stevan Harnad proposes self-archiving. October 1994: Wayne Marr and Michael Jensen launch The Social Science Research Network – SSRN. 28th November 1994: the print format journal Florida Entomologist which was launched in 1917, is converted to an Open Access journal. From April 1999, all previous issues up to 1917 were made available for free. 1996: Launch of the Networked Digital Library of Theses and Dissertations (NDLTD) by Virginia Polytechnic Institute and State University. June 1996: Brewster Kahle launches the Internet Archive. 1997: The Medline database which was launched in 1966 by The National Library of Medicine becomes Open Access, incorporated into PubMed. 1997: Beginning of the development of SciELO (Scientific Electronic Library Online) as a FAPESP (São Paulo Research Foundation) supported project in partnership with BIREME (Latin American Center for Information in the Health Sciences). 26th June 1997: Launch of PubMed, incorporating the contents of Medline. August 1997: Stevan Harnad launches CogPrints. 27th March 1998: Declaration of San José Towards the Virtual Health Library. June 1998: SPARC (Scholarly Publishing and Academic Resources Coalition) launched by the Association of Research Libraries (ARL). 1998: SciELO (Scientific Electronic Library Online ) goes live. 1998: Charles Oppenheim launches SPARC Europe (Scholarly Publishing and Academic Resources Coalition). 1998 : Vitek Tracz founds the world’s first commercial Open Access publisher: BioMed Central (BMC). October 1998: David Schulenburger proposes the creation of the National Electronic Article Repository (NEAR). 1999: Nobel Laureate Harold Varmus proposes E-Biomed. 21st – 22nd October, 1999: Meeting held in Santa Fé (California), at which the prototype of the Universal Preprint Service was presented and discussed. This service later evolved into the Open Archives Initiative (OAI). 1999: Open Archives Initiative (OAI) launched. 1st July 1999: UNESCO announces the Declaration on Science and the Use of Scientific Knowledge at the ICSU World Conference on Science. 22nd October 1999: Santa Fé Convention issued. 2000: William Arms publishes the book Digital Libraries and defines Open Access in the following way “Resources that are openly available to users with no requirements for authentication or payment” (Arms, 2000). 2000: Emergence of PubMed Central (PMC) with full text articles in Open Access as a complement to PubMed which contains citations and abstracts. 2000: Emergence of PLoS (Public Library of Science), an initiative of Harold Varmus, Michael Eisen and Patrick Braun. May 2000: The CalTech Library System launches the Collection of Open Digital Archives (CODA). 19th July 2000: BioMed Central publishes its first free online article. 29th September, 2000: Southampton University releases its self-archiving software, Eprints. 15th January, 2001: Jimmy Wales launches Wikipedia. 27th April, 2001: Havana Declaration. October 2001: Wayback Machine launched by Internet Archive. 31st January 2002: Distribution of online content opened by HINARI begins. This is a WHO Program for access to research in the field of Health. 14th February 2002: Budapest Open Access Initiative (BOAI) ² meeting held. Definitions of Green Road and Golden Road Publishing agreed upon. BOAI 2002 also defined the first Open Access Initiative-Protocol for Metadata Harvesting (OAI-PMH). May 2002: The Open Knowledge Network is launched in Africa. 15th May 2002: Lawrence Lessig launches Creative Commons. August 2002: RoMEO Project (Rights Metadata for Open Archiving) launched by JISC-FAIR. August 2002: SHERPA Project (Securing a Hybrid Environment for Research Preservation and Access ) launched by JISC-FAIR. August 2002: TARDIS Project (Targeting Academic Research for Deposit and Disclosure) launched by JISC-FAIR. 23rd August 2000 : IFLA (International Federation of Library Associations and Institutions ) publishes the IFLA Internet Manifesto calling for freedom of access to information and the removal of barriers to the flow of information. October 2002: More than 300 books published by The University of California Press are made available online free of charge through a partnership with the eScholarship initiative and the California Digital Library. 4th November 2002: MIT (Massachusetts Institute of Technology) releases the DSpace software. 8th November 2002: The Public Knowledge Project (PKP) releases the Open Journal Systems (OJS) open source software developed for journal publication management. February 2003: The US National Institutes of Health (NIH) adopts its Data Sharing Policy. May 2003: Version 1.0 of FEDORA (Flexible Extensible Digital Object and Repository Architecture) is launched by Cornell and Virginia Universities. 20th June 2003: Bethesda Statement on Open Access Publishing released. 1st October 2003: Open Access Working Group launched by a group of library associations and public-interest advocacy organizations. 13th October 2003: PLOS (Public Library of Science) launches its first Open Access journal, PLoS Biology. 22nd October 2003: Berlin Declaration – ratifies the decisions of Budapest and Bethesda. 15th January 2004: The Valparaiso Declaration is announced in Chile with the objective of improving scholarly communication in digital world (Declaration for Improved Scientific Communication in the Electronic Medium). 30th January 2004: Ministerial representatives from 34 countries of the OECD (The Organization for Economic Co-operation and Development) publish a declaration concerning the access to research results financed by public funds (Declaration on Access to Research Data From Public Funding). May 2004: The 8° National Congress of Librarians, Archivists and Documentalists (Estoril, Portugal) issues the The Estoril Declaration on Access to Information (Declaração do Estoril sobre o Acesso à Informação). May 2004: the participants of the 2nd International Symposium of Digital Libraries ( 2º Simpósio Internacional de Bibliotecas Digitais (SIBD ) in Campinas, Brasil, issue a declaration in support to Open Access. 23th September 2005: participants at the International Seminar on Open Access for Developing Countries, event organized by BIREME/PAHO/WHO paralel at 9th World Congress on Health Information and Libraries  Commitment to Equity (Salvador, Bahia, Brazil, September 20-23, 2005) issue the Declaration of Salvador  Commitment to Equity and the Salvador Declaration on Open Access: The Developing World Perspective. The first asks governments to promote equitable and open access and the second asks governments to require open access to publicly-funded research. 2nd December 2005: IBICT (Brazilian Institute for Information in Science and Technology) issues the São Paulo Declaration in support of Open Access. 27th January 2006: the University of Nottingham (United Kingdom) and Lund University (Sweden) officially launch OpenDOAR (Directory of Open Access Repositories). 2006: IFLA and UNESCO launch the IFLA/UNESCO Internet Manifesto Guidelines. 21st December 2006. PLoS (Public Library of Science) officially launches the journal PLoS ONE. January 2007: the Education Resources Information Center (ERIC) in the USA announces a program to digitize 40 million pages of microfiched documents and offer them in Open Access. January 2007: Open Access Research issues a call for submissions and becomes the first peer-reviewed Open Access journal dedicated to Open Access itself. March 2007: the publisher Polimetrica issues an Open Access Manifesto, apparently the first one from a book publisher. April 2007: JISC and the University of Glasgow launch OpenLOCKSS, a new program for the LOCKSS (Lots of Copies Keep Stuff Safe) project for the preservation of journals in Open Access. August 2007: the National Science Foundation (NSF), PLoS and the San Diego Supercomputing Center launch SciVee (“YouTube for scientists”), which transmits educational videos concerning Open Access. 2nd August 2007: UNESCO issues the final version of the Kronberg Declaration on the Future of Knowledge Acquisition and Sharing. October 2007: The Social Science Research Network officially launches the Humanities Research Network, a collection of Open Access repositories in the different fields of the Humanities. 14th November 2007: the Agence Nationale de la Recherche – ANR (France National Agency for Research) adopts an Open Access policy for the research it funds. December 2007: A research group of the Universidad de Granada (Spain) launches SCImago, an Open Access database of journals organized by subject area and country. 11th January 2008: the US National Institutes of Health (NIH) issue their mandate for Open Access. 8th February 2008: The United Nations Conference on Trade and Development (UNCTAD) approves Open Access models for the exchange of knowledge and software. 25th March 2008: Richard Crocker launches Planet e-Book, a new portal of public domain books in Open Access. April 2008: Peter Suber and Robin Peek launch the Open Access Directory. 10th June 2008: the government of the Comunidad Autónoma de Madrid approves an Open Access mandate that requires results of publicly funded research be deposited in Open Access in one of Spain’s “e-Ciencia” repositories. October 2008: the participants at the conference Open Access and Research 2008 (Brisbane, 24-25 September 2008) issue the Declaration of Brisbane. 14th October 2008: marks the first International Day of Open Access. 14th October 2008: the Open Access Scholarly Publishers Association (OASPA) is officially inaugurated. 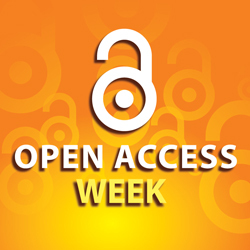 19th to 23rd October 2009: marks the first International Open Access Week. January 2009: the Netherlands declares 2009 as the Year of Open Access. February 2009: NECOBELAC (NEtwork of COllaboration Between Europe and Latin American-Caribbean Countries) is launched, a collaborative network between Europe and Latin America and the Caribbean for the promotion of Open Access in the area of health information. February 2009: the (China’s National Science Library-NSL and the Chinese Academy of Sciences-CAS launch a repository and adopt an Open Access mandate. 4th March 2009: Representatives of 27 African governments and four inter-governmental organizations issue the Declaration of Kigali concerning the development of an equitable information society in Africa, calling for equitable access to information and knowledge, but not necessarily in Open Access. May 2009: Peter Murray-Rust, Cameron Neylon and Rufus Pollock, among others, formulate the Panton Principles for open data. July 2009: the oldest book in the world, the Codex Sinaiticus bible, was digitized. Its more than 800 pages were brought together by different museums in four countries to produce the new online edition in Open Access. 26th August 2009: Internet Archive, Amazon, Microsoft, Yahoo and others get together to form the Open Book Alliance. 10th December 2009: Elinor Ostrom and Oliver Williamson receive the 2009 Nobel Prize for Economics for their work on the economy of the commons. October 2010: the 1st Luso-Brazilian Conference on Open Access (1ª Conferência Luso-Brasileira sobre Acesso Aberto – CONFOA) takes place in Braga, Portugal. 2011: the Brazilian Senator Rodrigo Rollemberg tables Bill 387/2011 of 05/07/2011 in the Brazilian National Senate which provides for the process of registration and dissemination of the technological-scientific production of institutions of higher education, as well as research units in Brazil. 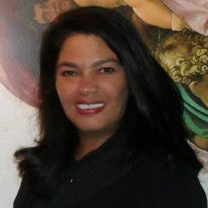 October 2011: the 2nd Luso-Brazilian Conference on Open Access, (2ª Conferência Luso-Brasileira sobre Acesso Aberto – CONFOA) takes place in Rio de Janeiro, Brazil. 21st January 2012: The mathematician Timothy Gowers calls for the academic community to boycott Elsevier for three reasons: the high subscription prices of the individual journals, subscription packages to which journals of different values and importance are added; and Elsevier’s support of bills that restrict the access to information (SOPA, bill PROTECT IP and the Research Works Act). Since then, there have been more than 13,000 signatories to the document The Cost of Knowledge. 30th March 2012: the SciELO Books project is launched. October 2012: the 3rd Luso-Brazilian Conference on Open Access (3ª Conferência Luso-Brasileira sobre Acesso Aberto – CONFOA) takes place in Lisbon, Portugal. ¹ Go to the Timelines at http://oad.simmons.edu/oadwiki/Timeline for a more detailed description of the evolution of Open Access. October: Open Access Celebration Month!